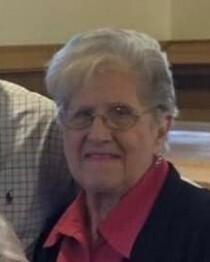 Julia R. Demary (Galatte), age 85, of 58 Hillcrest Ave. Pittsfield, died Monday evening at the home of her daughter Debra in Pittsfield. She was born in Chicago, Illinois on April 18, 1933, the youngest of nine children of the late Nicholas and Angeline (Russo) Galatte. She began her education in Chicago and then attended Pittsfield High School upon coming to Pittsfield. Continuing her education, she was enrolled in the X- Ray Technician program at the former Pittsfield General Hospital. Julia later became employed at the former Rice’s Silk Mill for a period of time. She was a proud employee of Big Y and enjoyed her position as the “Samples Lady", serving customers with various food samples throughout the week. She retired after 18 years of service with the company last year at the age of 84. She was a communicant of St. Joseph’s Church. Julia favorite pass time was spending time with her grandchildren and talking about her Italian heritage and how she grew up in a large family. Julia was predeceased by her husband, George L. Demary, who died on June 11, 1994 and they were married July 10, 1954. In addition she was predeceased by her, daughter, Sondra V. Demary and grandson, John L. “Jack” Zelinsky. She is survived by her son, George G. Demary and his wife, Geraldine, of Pittsfield, her daughter, Debra A. Goddeau and her husband, James of Pittsfield, 11 grandchildren and 8 great-grandchildren and another great grandchild due in the spring. In accordance with Julia’s wishes, services will be private at St. Joseph’s Cemetery. There are no calling hours. Memorial donations may be made to St. Joseph’s Church, in care of the Devanny-Condron Funeral Home.